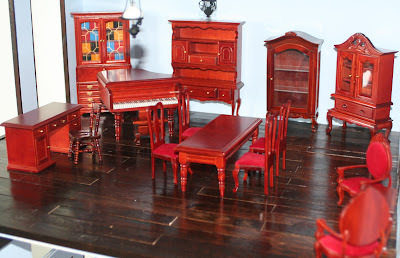 Doll House: Finds - Furniture, European. All this furniture for $68 Sing. No bad at all, laddie. Quite well made too. Will be in keeping with the European style `furniture for the rear of the house.